No place in the world more than London is deserving of a place of honour in paying tribute to the artistic heritage of the late, great David Bowie. After his death In January 2016, thousands flocked to Brixton to leave flowers next to the mural portraying his adored alien persona Ziggy Stardust. The very same week at a pub in Islington I saw three teenagers performing a beautifully wrecked “Moonage Daydream”, proof of how rooted Bowie’s influence in British youth culture is, and always will be. 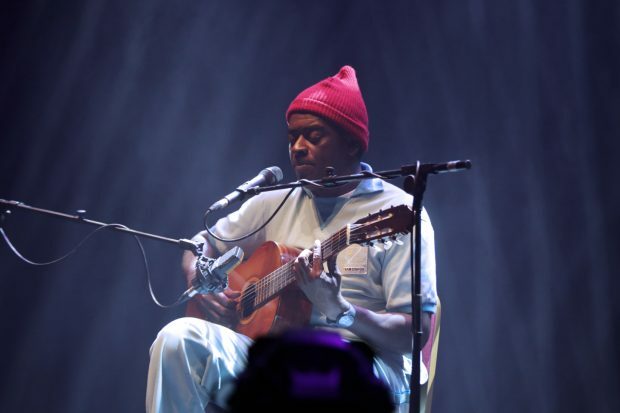 Coming to attention after his appearance as the crew minstrel in Wes Anderson’s The Life Aquatic, Seu Jorge will perform his bossa nova rendition of Bowie’s classics on the 30th of May in the majestic setting of the Royal Albert Hall. The contrast between the size of the venue and the intimacy of his performance will make for a powerful and unique experience. Daily Discovery: Prince Fatty live dub of "Cian Finn - Too Fast"